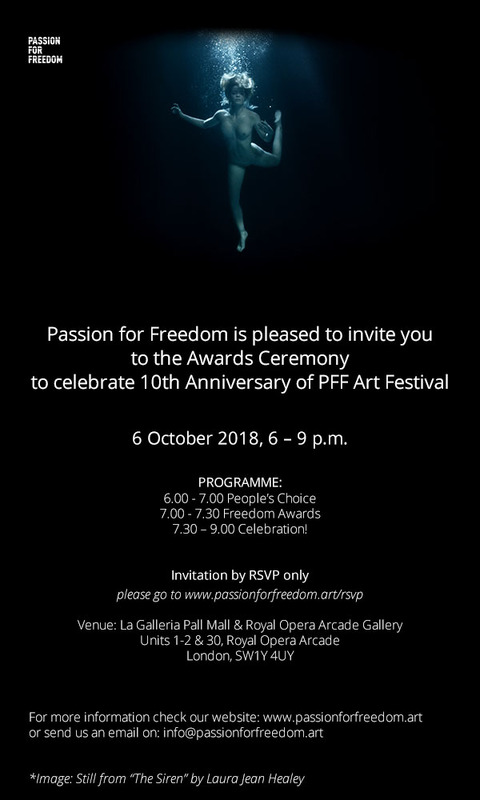 as seen in 10th anniversary Passion for Freedom Festival 2018, Royal Opera Arcade Gallery, London. From 1-12 October 2018. Kelise Franclemont and Mosab Abu Toha, ‘I was a thing (the poet objects)’, 2018, poet object and plinth, in Passion for Freedom Festival 2018, London. Photo credit Kelise Franclemont. 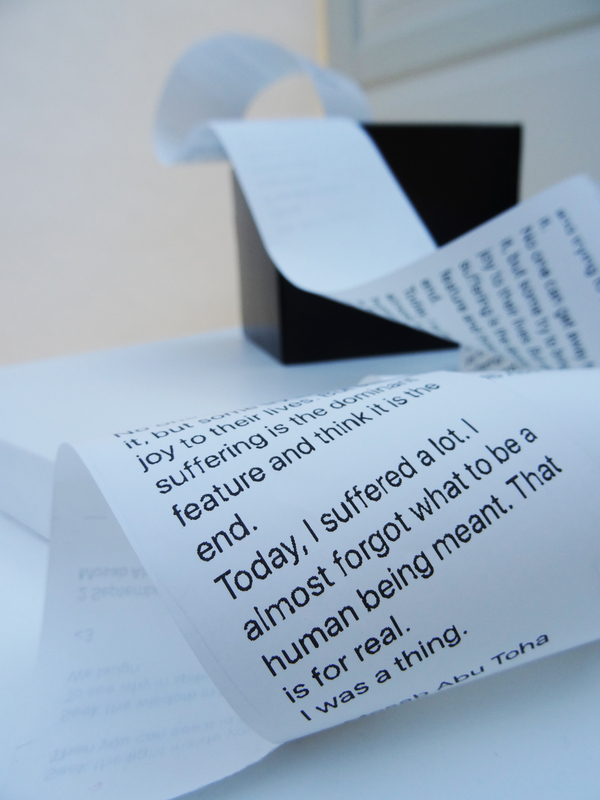 A mysterious black cube-shaped poet-object slowly extrudes a long strip of paper that gathers in a growing pile. The text contains poems, one-line reports, and other thoughts by Mosab Abu Toha, a poet in Gaza. Every now and then, another few lines of text come out as Abu Toha shares his poetry and prose with UK viewers real-time via the Internet, even while remaining entrapped in Gaza City, presuming of course, electricity supply is available to his neighbourhood. “I was a thing” is collaborative effort between British-American artist Kelise Franclemont and Gazan poet Mosab Abu Toha. Mosab Abu Toha is an author, English teacher, and founder/director of the Library and Bookshop for Gaza, a project which gained international support through a humble crowd-funding appeal, resulting in a growing library of English, Arabic, and other volumes made available to the Gazan public. Along with the hundreds of books and periodicals, Abu Toha and his small staff offer a range of English classes, creative writing and literature clubs, and other activities. Kelise Franclemont is a visual storyteller offering objects or experiences about remembering and identity, often considering the immutable line between Other and Self. In the making, she will often appropriate materials, objects, or other more ephemeral cultural artefacts such as ritual, using documentary tactics to remake these artefacts into a new narrative, or into a newly-contrived situation based on some truth, allowing the viewer to discover truths of his or her own. Posted in digital and multi-media, exhibitions, installationTagged collaboration, interactive art, Palestine, Right to Movement, storytelling in artBookmark the permalink.